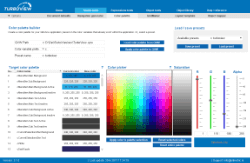 October 2013 - The Qlik Fix! The Qlik Fix! 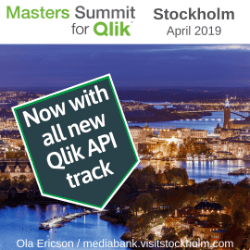 From October 9 – 11 and from October 14 – 16, the European edition of the Masters Summit for QlikView was held in London and Barcelona. 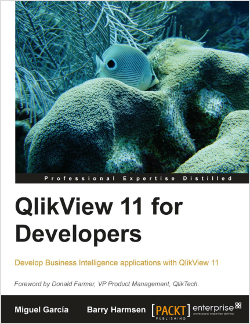 The goal of this event is to show and discuss advanced concepts, methods and techniques for QlikView development and deployment through 3 days of hands-on sessions and discussions. Together with Bill Lay, Oleg Troyansky and Rob Wunderlich I was one of the speakers at this event. At the Masters Summit for QlikView in London we ended the second day with an informal ‘stump the geek’ session. In this session participants could submit technically challenging questions to a panel. Besides the four presenters, this panel also consisted of Steve Dark, Stephen Redmond and Henric Cronström. You can imagine that I found myself surrounded by an awesome amount of QlikView knowledge. Can we make “or” selections between list boxes, instead of the standard “and” selections?